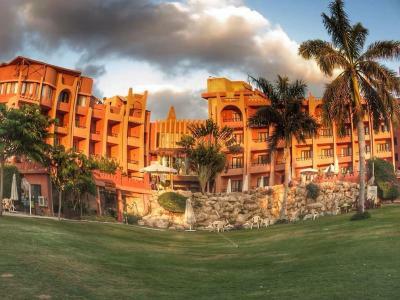 Lock in a great price for Africana Hotel & Spa – rated 8.1 by recent guests! Good breakfast . Good and quick service when required by hotel members. So delighted with everything about this beautiful property. The staffs are good, concierges were friendly and knowledgeable. Wonderful building with some historical stuffs, Lovely buffet, Delicious meals attentively served. Many thanks to each and every one who made my stay so perfect! 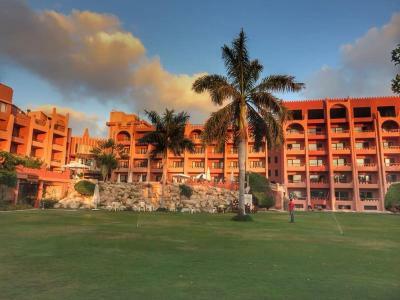 The hotel is so cozy and homey , I was on a business visit in Borg el Arab area, the hotel is so functional to me 20 min away from the industrial zone. WiFi Internet is available in the room with very reasonable speed. I had a seperate receiver in my room , I wounder if the rest of rooms have the same privilege! The food taste is fantastic they serve salmon steak ..it’s amazing. 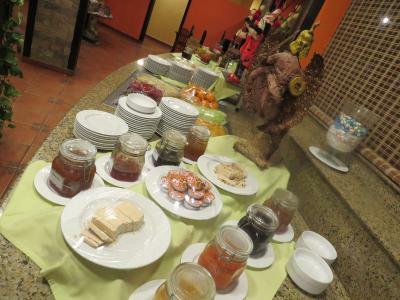 The breakfast is very elegant and many varieties. The staff is so friendly. Check in and out procedures are fast. They are having renovations in the hotel . I saw a very nice building looks like a temple I asked about it they informed me that it’s the new bar called Kraken , the bar is like a boat it so unique and classic . 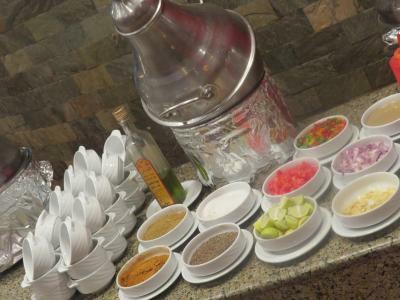 In general the place is very nice for business trip or family gateway. Staff were excellent all round and very helpful. Room was above expectations. 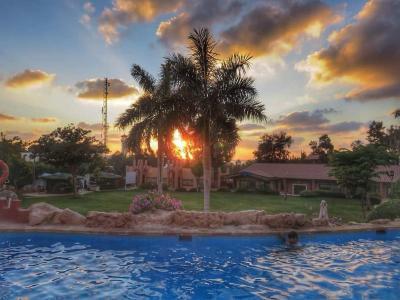 Africana Hotel & Spa This rating is a reflection of how the property compares to the industry standard when it comes to price, facilities and services available. It's based on a self-evaluation by the property. Use this rating to help choose your stay! Each air-conditioned unit at Africana features a balcony and has a flat-screen with cable TV. The suites have a living room while the rooms have a seating area. Free wired internet is available in the rooms and free Wi-Fi is provided in public areas. Guests can relax at the sauna or have a massage. 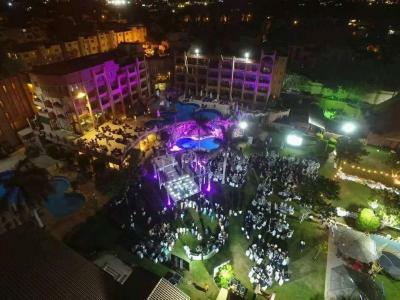 The hotel also offers a program of night shows. For guests wanting to practice sports, there is a fitness center, a tennis court and a football field. Free private parking is also available at the Africana. 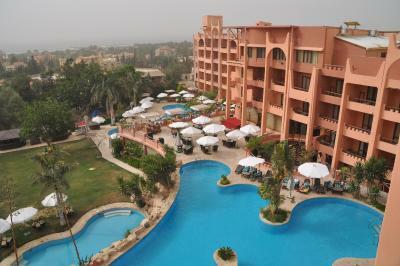 Borg El Arab International Airport is a 5-minute drive away from the hotel. Alexandria’s city center is 25 minutes by car. Borg El Arab International Stadium is 6.2 mi away. 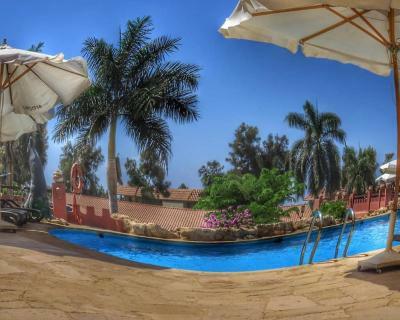 This property also has one of the top-rated locations in Borg El Arab! Guests are happier about it compared to other properties in the area. 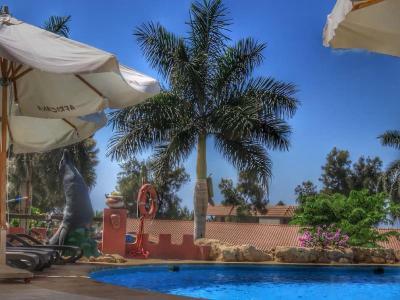 This property is also rated for the best value in Borg El Arab! Guests are getting more for their money when compared to other properties in this city. 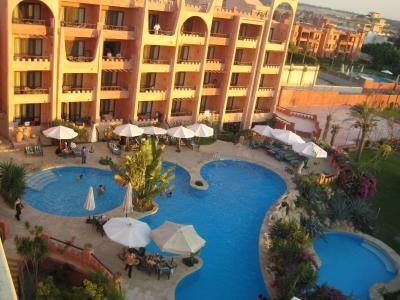 When would you like to stay at Africana Hotel & Spa? This air-conditioned room is decorated with an African theme, including wooden furniture and animal print rugs and fabrics. It features a balcony and has a private bathroom with a shower and a bath. The Standard Double or Twin Room has a seating area with armchairs and a flat-screen cable TV. It features a balcony and has a private bathroom. It also has a mini-bar and a telephone. The Standard Single Room includes a seating area with a work desk and a flat-screen cable TV. This spacious suite has African themed decoration, including wooden furniture and animal print rugs and fabrics. The air-conditioned suite features a balcony and a living room with a dining area and a flat-screen cable TV. The Suite With Two Bedroom has a private bathroom and includes a mini-bar and a safety deposit box. 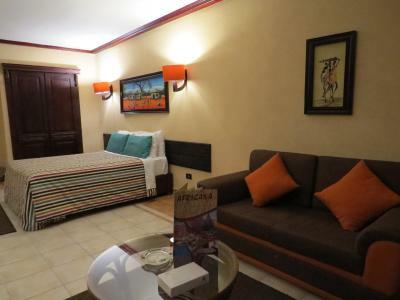 This single room features a balcony, tile/marble floor and air conditioning. 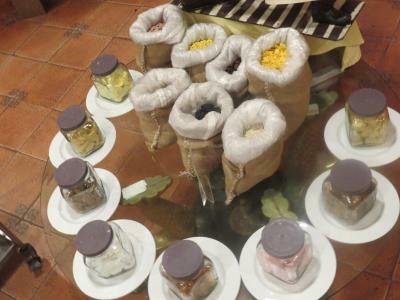 House Rules Africana Hotel & Spa takes special requests – add in the next step! Africana Hotel &amp; Spa accepts these cards and reserves the right to temporarily hold an amount prior to arrival. Africana Hotel & Spa accepts these cards and reserves the right to temporarily hold an amount prior to arrival. I WAS VERY COLD IN THE BAR AND RESTAURANT (late march stay)some heating would have been nice. I went to Spa and the massage was not a massage the woman spent most of her time on her mobile phone a complete waste of money. DO NOT USE THE SPA. The breakfast options were poor. Maybe add scrambled eggs and some waffles. No a la carte dinner options except in the loud smokers sports bar. the smell in the bathroom was bad at timescoming from the drains. They renovate on the ground floor. I arrived at 5 o'clock in the morning and at 8 o'clock I was wake up due to the sledge hammers and a lot of repairs /construction noise.